The Navajo reservation and is bounded by the San Juan River to the north, the Little Colorado River to the south, and the main stem of the Colorado River to the west. The Navajo Nation has a population of approximately 178,000 people. The Navajo Nation has claims to waters from the Upper Colorado River basin (including the San Juan River), the Lower Colorado River basin and the Rio Grande basin. Major rivers include the San Juan River, the Colorado River, and the Little Colorado. The Nation also has claims to a series of ephemeral washes that flow within the reservation boundaries. In addition to these surface water resources, the Nation relies on groundwater from the Coconino Aquifer, the Dakota Aquifer, the Navajo Aquifer, and several others. As authorized, the Navajo Indian Irrigation Project (NIIP) is a 508,000 afa irrigation project, of which the Nation actually diverts roughly 353,000 afa. In the authorizing agreement, the NN waived its right to 110,000 afa of San Juan River (to be diverted to the Rio Grande basin). Importantly, the Act authorizing NIIP did not settle the Nation’s claims to the San Juan River basin. NIIP entitlements were incorporated into the 2010 San Juan settlement agreement. Indian tribes must settle their federal reserved rights claims for each water basin with each state the basin touches. The Navajo Nation has water rights claims in three states and several different river basins. Thus, the process of settling these claims involves numerous settlement efforts in different states. The Navajo Nation is still seeking to quantify its water rights to the Colorado River, the Little Colorado River, and the San Juan River in Utah. In New Mexico, the Navajo Nation has rights to the Little Colorado River, the Zuni River, the Rio Grande, the Rio San Jose and the San Juan River. The Tribe has been actively pursuing quantification of its claims to the San Juan River basin. The history of water settlements for the Navajo Nation in New Mexico is complicated. In 1962, Congress approved the formation of the Navajo Indian Irrigation Project. However, the settlement did not purport to resolve all of the Nation’s claims to that water basin. The settlement authorizing NIIP was not a complete adjudication of the Nation’s rights to the San Juan River. During settlement negotiations, federal officials had suggested that the Navajo could lay claim to 787,000 afa of the San Juan River. Instead, the settlement provided authority and funding for the Navajo Indian Irrigation Project, an 110,630 acre Navajo farm. In the enabling legislation it was anticipated that the farm would use up to 508,000 afa of San Juan River water annually. In practice, the farm receives an average annual diversion amount of 353,000 afa. The priority date of the water was to be not later than October 16, 1957. This priority was based on the establishment of the irrigation project rather than the date that the reservation was established. In exchange for development of NIIP, the Nation agreed to forgo 110,000 afa of its San Juan River entitlement and to allow that water to be transferred through the San Juan Chama project to the Rio Grande River Basin. The NIIP was unique in several ways. First, the enacting legislation expressly condoned an inter-basin water transfer, supplying water from the Navajo Reservoir to the Rio Grande Basin. Even more remarkable is that this transfer delivers water from the Upper Colorado River Basin to the Lower Colorado River Basin in New Mexico. The Navajo Nation also agreed to reduce their consumptive use of NIIP water in times of shortage. The settlement set forth that “[w]hen the physical supply of water in Navajo Reservoir is insufficient to meet the normal diversion requirement for delivery in Arizona, the Navajo Nation may temporarily forbear uses at the Navajo Indian Irrigation Project in New Mexico so that water may be delivered through NGWSP to Arizona.” The quantity of NIIP was recognized and incorporated into the San Juan River Settlement. Water marketing is restricted In the NIIP agreement, and the included rights cannot be used outside of the state of New Mexico without the State’s consent. This means that the Nation is required to act through its New Mexico Interstate Stream Commission subject to state law. As discussed above, NIIP failed to settle all of the Nation’s claims to the San Juan River Basin in New Mexico. In 1975, the New Mexico state engineer filed a general stream adjudication which eventually led to the San Juan River Basin in New Mexico Navajo Nation Water Rights Settlement Agreement. The San Juan Navajo Water Rights Settlement recognizes roughly 600,000 afa for agriculture, industrial, municipal, domestic and stock watering purposes. The San Juan River Basin Settlement is before the decree court in Aztec, New Mexico, which must rule on it by the end of 2013. This settlement sought to settle all claims for all waters of the San Juan Basin once and for all. The Settlement also settled the Navajos claims to the other basins in New Mexico, including the Little Colorado River and the Rio Grande Basins. The cornerstone of the settlement was the Navajo-Gallup water supply project. 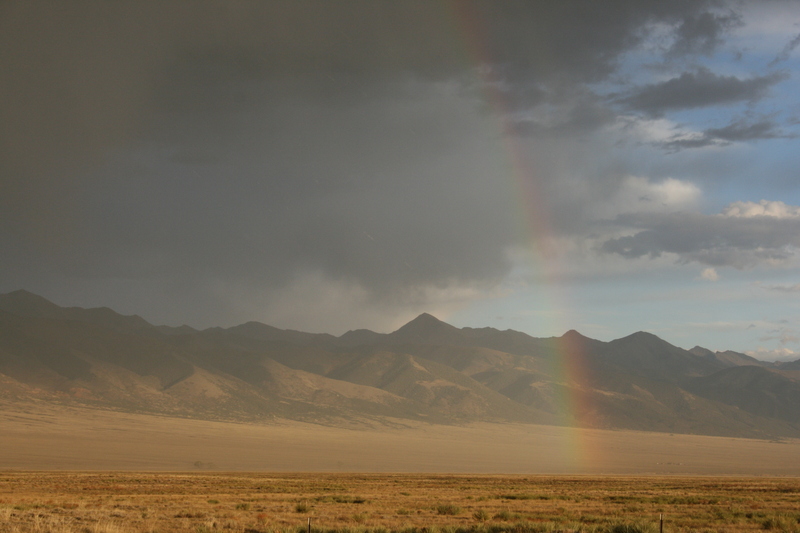 The settlement permits the state of New Mexico to administer all rights in the basin. The New Mexico state engineer is permitted authority over water transfers, and “will consider evidence of historic use or non-use in determining whether [to grant] approval of an application filed under state law to change the purpose of place or use of irrigation water.” Furthermore, the Nation agreed to abide by the Upper Colorado River Basin Compact, limiting the its ability to use water in other states. The Navajo Nation has claims to a small quantity of water in the Zuni River Basin in New Mexico, and recently filed a lawsuit to settle some of their claims. In Arizona, the Navajo Nation has water rights to the main stem of the Colorado River, the Little Colorado River and the Gila River. Most recently the Nation has been attempting to settle all of its claims to the Gila and Little Colorado Rivers in Arizona. Several draft settlements have been proposed in recent years, including the Navajo-Hopi Little Colorado River Water Rights Settlement Act of 2012, introduced by Senators John McCain and Jon Kyl of Arizona. The settlement, which would have settled claims to the Little Colorado River as well as claims to the C aquifer, required approval from both the Navajo Nation and the Hopi. The Navajo Nation voted to not approve the settlement. Objections to the settlement included resistance to language that assured an ongoing water supply for the coal-fired Navajo Generating Station, and a provision that was designed to limit theNation’s ability to sue for material damage from decades of water pumping by Peabody Coal. In Utah, the Navajo Nation has claims to water from the upper basin of the Colorado River (most on the San Juan River). 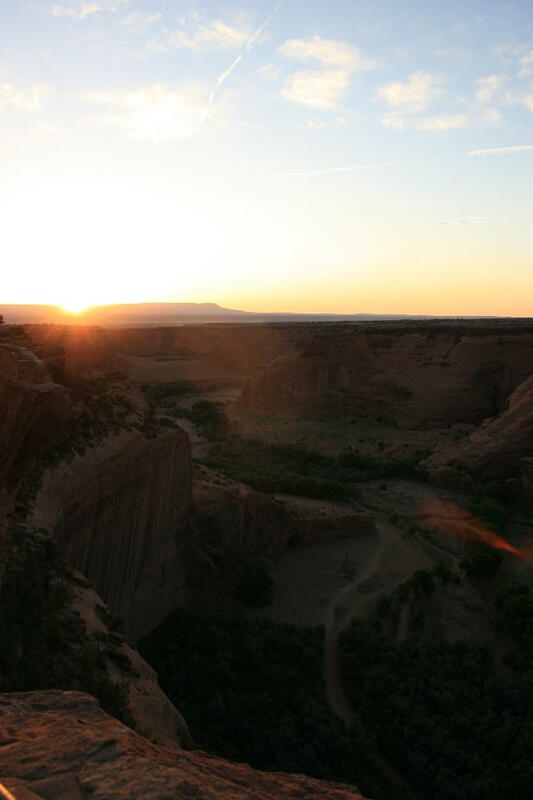 The Navajo Nation and the Utah government have a draft settlement agreement almost finalized. However, the federal government has to be a party to finalize the settlement. The proposed settlement would recognize an annual diversion of 314,851 afa, of which 81,500 is depletion. Presently, the Navajo Nation’s most pressing desired water use is for domestic development. However, the Nation is also engaged in and considering uses including for agriculture, water marketing, and for industrial and mining uses. The Indian Health Service assumes that above a certain expense, homes become infeasible to serve from a public water system, and the Navajo Tribal Utility Authority will not accept operation of a system with fewer than three meters per mile. So, many families on the Navajo Nation will be hauling water for a long, long time. These projects are considered the fundamental structure of a domestic water development scheme. Navajo Nation Dept. of Water Res., Draft Water Resource Development Strategy for the Navajo Nation 8 (July 2011). John W. Leeper, Navajo Nation Plans for Their Water Future, 2003 New Mexico Water Res. Research Inst. : New Mexico Water Planning 21, 22..
 New Mexico, The Navajo Nation Water Rights Comm’n, http://nnwrc.org/new-mexico. Pub.L. 87-483, 76 Stat. 96, as amended, 43 USCS 615 et. Seq. (1976). Philip L. Fradkin, A River No More: The Colorado River and the West 167 (1996). San Juan River in New Mexico Settlement Agreement, U.S.-Navajo Nation, Apr. 19, 2005,, at paragraph 9.3.3. Northwestern New Mexico Rural Water Projects Act, Pub. L. No. 111-11, § 10603(d), 123 Stat. 1368, (2009). Consent Decree, New Mexico ex. rel State Engineer v. U.S., (No. CIV 75-184, 11 D. N.M., Aug. 9, 2010). SeeU.S. v. A&R Prod., No. 01cv00072 MV/LFG (D. N.M. filed Dec. 13,2012). Arizona, Navajo Nation Water Rights Comm’n, http://nnwrc.org/arizona. Leslie Macmillan, A Difficult Choice on Water, N.Y. Times, Apr. 6, 2012, http://green.blogs.nytimes.com/2012/04/06/a-difficult-choice-on-water/. 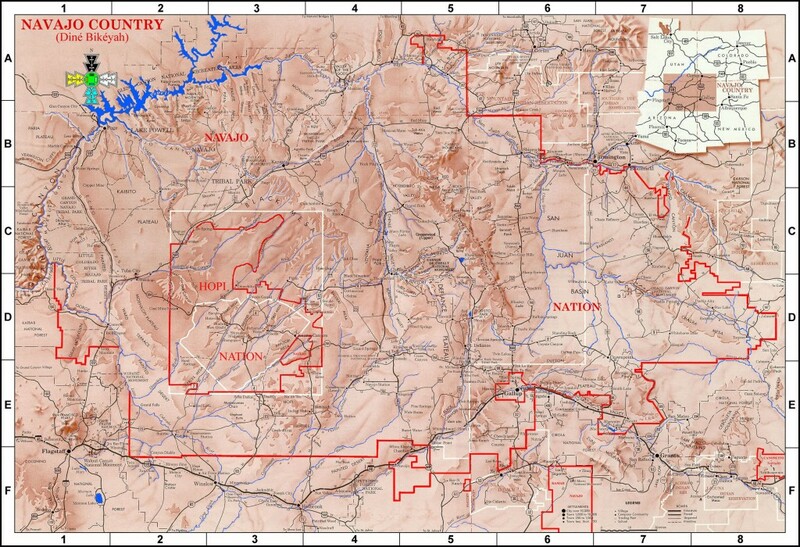 Sonja Horoshko, Navajo Council Rejects Proposed Water Settlement, Four Corners Free Press, Sept. 27, 2012, http://fourcornersfreepress.com/?p=838. Utah Code Ann. § 51-9-702 (2012). Leeper, supra note 2, at 24. NIIP was authorized in 1962 in tangent with the San Juan Chama Project to divert water from the San Juan River to irrigate approximately 110,000 acres (upon completion of the project). Leeper, supra note 2, at .24-25.